Poland & Abortion: Once you abandon moral absolutes, everything becomes possible. Fr. 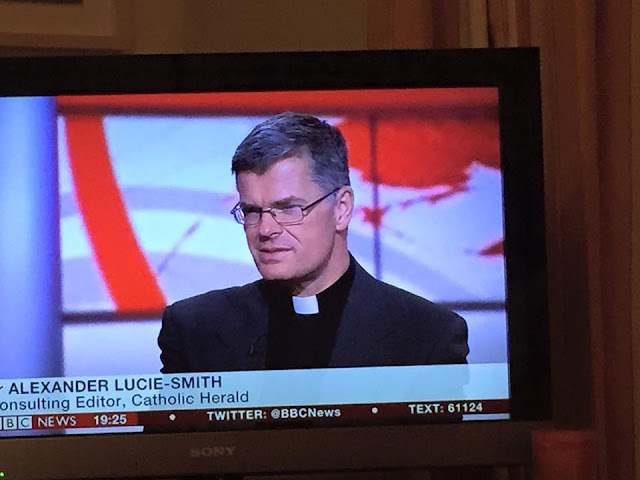 Alexander Lucie-Smith is a Catholic priest, doctor of moral theology and consulting editor of The Catholic Herald. On Twitter he is @ALucieSmith and is appearing at the Guild Apologetics evening in Soho on the 4th May see here for details. He knows his stuff, and has given me permission to post his response to the disgraceful letter to the Polish Bishops reported by The Catholic Herald here. The recent letter to the Polish Bishops on the subject of the abortion laws in Poland, signed by Professor Tina Beattie and many others, requires comment, as it will confuse and bewilder many Catholic readers. Most of the signatories are unknown to me, but I am very sorry to see in the hundred or so names several well-known writers such as Jean Porter of Notre Dame University, and Janet Martin Soskice of Cambridge University, both reputable academics. They like the rest of us have the duty, as Catholics, to uphold Church teaching. It is a pity that they have signed a letter that undermines Catholic teaching. The letter starts off with the following statement to which no one can take exception: “We uphold the sanctity of all human life.” Well, that is good. But what do we mean by “uphold” and “all”? I understand that upholding the sanctity of all human life means that I could never ever approve the taking of human life in the womb, and that this admits of no exceptions. To understand anything else by this statement would be to reduce it to meaninglessness. In fact, the letter goes on – without really ever advancing any carefully argued position – that the signatories uphold the sanctity of some human lives some of the time, because they are quite prepared to countenance the abortion of some children. In other words they allow exceptions, without telling us who judges which exceptions should be made, and on what grounds the exception could be made. There is talk in the letter of “serious foetal conditions” – but how serious? By what criteria is that to be objectively judged? It seems to me that if you can allow the abortion of one child, one “hard case”, then in effect you are allowing abortion, and allowing the abortion of any child. You have granted permission for abortion, per se, and now you just have to look for the right set of circumstances to justify your decision. All this was covered in John Paul II’s encyclical Veritatis Splendor. Once you abandon moral absolutes, everything becomes possible. Moral absolutes abandoned, the sanctity of life depends not on the innate nature of life itself, but on everyone agreeing all the time that no greater good would be served by violating the sanctity of life. The signatories believe that the sanctity of life is a relative value to be weighed in the balance with other values. They are wrong. It is not. It is absolute. John Paul II discussed abortion in paragraphs 58 to 63 of his encyclical Evangelium Vitae, the following excerpt of which is worth quoting. 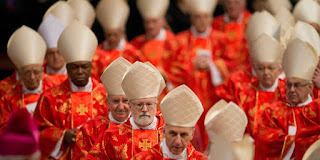 "Therefore, by the authority which Christ conferred upon Peter and his Successors, in communion with the Bishops - who on various occasions have condemned abortion and who in the aforementioned consultation, albeit dispersed throughout the world, have shown unanimous agreement concerning this doctrine - I declare that direct abortion, that is, abortion willed as an end or as a means, always constitutes a grave moral disorder, since it is the deliberate killing of an innocent human being. This doctrine is based upon the natural law and upon the written Word of God, is transmitted by the Church's Tradition and taught by the ordinary and universal Magisterium." This may not add up to an infallible statement of the Papal Magisterium, though many might argue that it does. But it is pretty clear to me that this teaching of Saint John Paul II completely rules out the approach of Professor Beattie and her colleagues. Nothing in their letter can be reconciled with the teaching of John Paul II or any other Pope before or since, or indeed any act of the ordinary Magisterium. One notes too, from the above, that John Paul II is striving for clarity. Clarity of expression in morals is precious. It can and often does provide a clear signpost to those who are otherwise in danger of losing their way. In sad contrast, the Beattie letter provides the opposite of clarity. It suggests that abortion is not a topic on which we can be morally precise and clear. Hence this letter does us all a great disservice. There have been times – alas – when the Church has been less than clear on moral issues, such as the death penalty, slavery, questions of war, and the Holocaust. How we regret that lack of moral clarity and courage now! Given that this letter is so completely at variance with the teaching of the Church, why are people who call themselves “concerned Catholics” signing it? They have placed themselves in an invidious position, one at variance with the teaching of the Church to which they belong. The teaching of the Church is not going to change; they need to change. 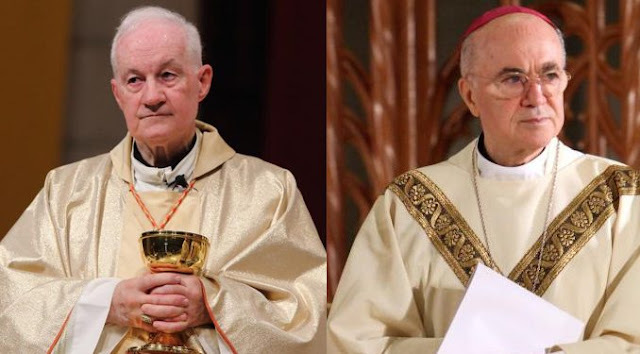 I hope they reconsider their position; but if they do not, there is only one coherent course of action open to them, namely, to leave the Church. Dr. Joseph Shaw has also written a rebuttal of the contents of this letter, which, quite frankly, drives an intellectual tank through the massive gaps in logic therein. You can read that post by following this link. Academics and Universities are seeking to contradict Western civilization that has been formed from 2000 years of Judeo Christian heritage. I'd been interested to know what their response would be in consideration of Islam. Would they send such a letter of response to Imams as they have to Catholic Polish Bishops ? 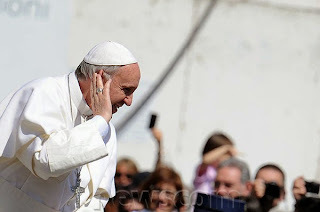 It is becoming more evident, that the current Pope is not worthy of the office he holds. He doesn't believe in God's Holy Word or The Church handed onto the Apostles.